On Sunday, December 4, 2011, members of the First Presidency of The Church of Jesus Christ of Latter-day Saints spoke at a Christmas devotional, broadcast from the Conference Center in Salt Lake City, Utah, USA, to millions around the world. 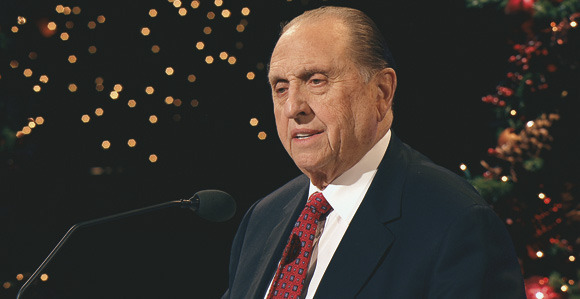 President Thomas S. Monson presided at the devotional. Christmas is what we make of it, he said.